Like our skin, our hair and nails are the mirror of our health and, as such, they deserve our full attention. An unbalanced diet, hormonal disruption, or simply stress, can lead to dull, fragile, thin or oily hair, along with fragile and brittle nails. 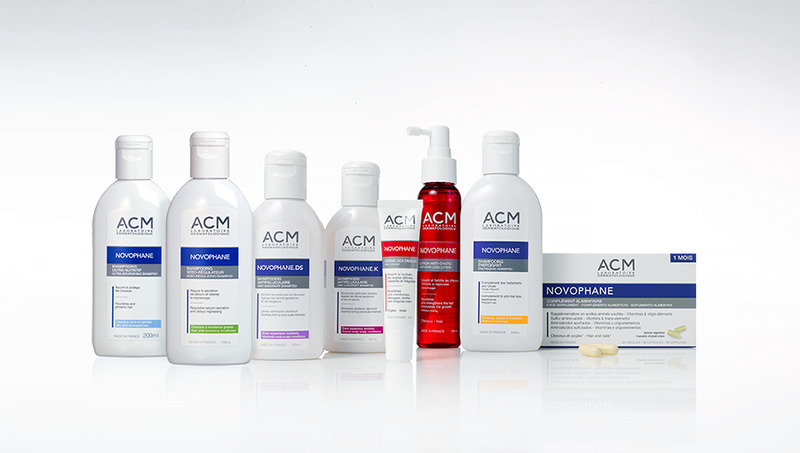 Thanks to a complete range of easy-to-use nail care products of proven efficacy. Did you know that a shampoo poorly suited to your scalp can compromise the beauty of your hair? The Novophane range contains a solution to each problem: oily or rapidly re-oiling hair, dry hair, dandruff, damaged hair, hair loss. Novophane is thus suitable both for healthy hair, to preserve their beauty, and for recurrent and reputedly difficult-to-treat problems. Select, from our range of products respectful of the capillary fibre, the one that will restore your hair's tone and vitality. The Novophane range also covers the repair and beauty of fragile and brittle nails, with a mixed hair & nails dietary supplement and a daily cream. I have been taking Novophane capsules twice per year since the children were born; I can really see the difference. With Novophane energizing shampoo, my hair has better volume and is easier to style. Nail beauty is all about sheen and vigour. I apply Novophane nail cream every evening before going to bed. A true nail beauty cream, it is an effective daily care product for repairing brittle, fragile, doubled or irregular nails. Care products adapted to soothe and protect the most sensitive skins: from cleaning and moisturising to sun protection.